The late 19th-century classrooms of our predecessor institutions, Northwestern College and Dr. Martin Luther College, were full of second- and third-generation Americans. 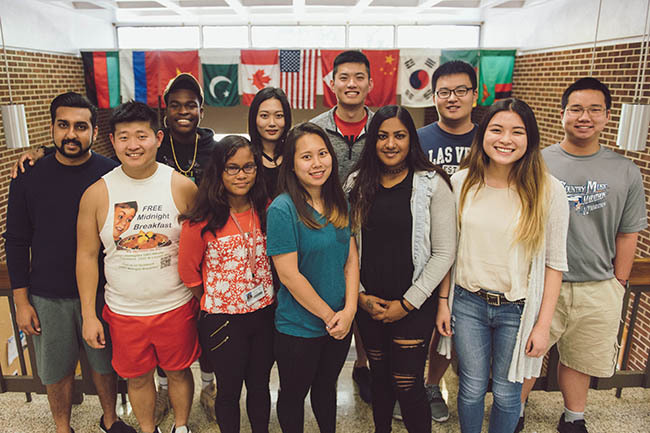 These students’ parents and grandparents had emigrated primarily from one country: Germany. 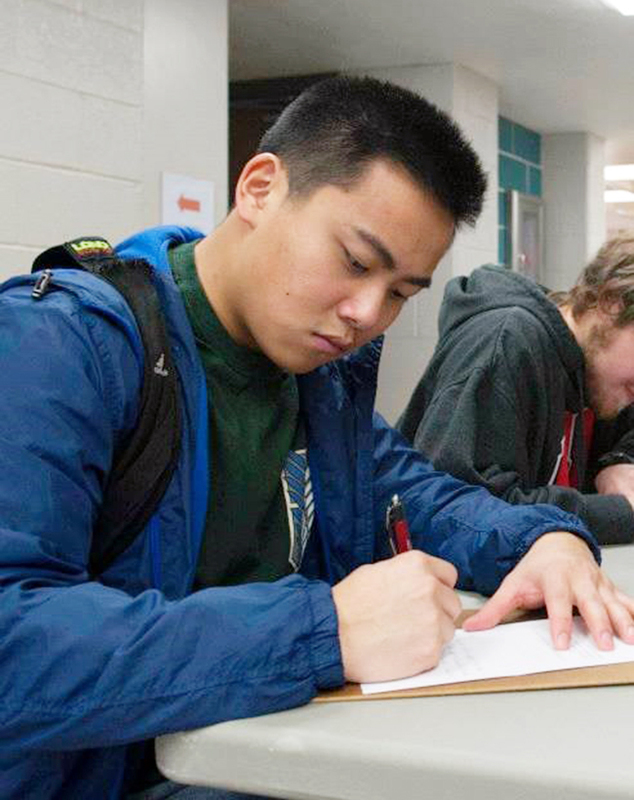 More than a century later, many WELS schools are seeing an upswing in second-gen Americans again—not from Germany, but from Laos, South Sudan, Syria, Venezuela—almost every corner of the globe. We’d like you to meet two of them: Buok and Sam, second-generation Americans who are excited to one day serve in the pastoral ministry. “I just really love people,” says Buok Chuol (Good Shepherd- Omaha NE). 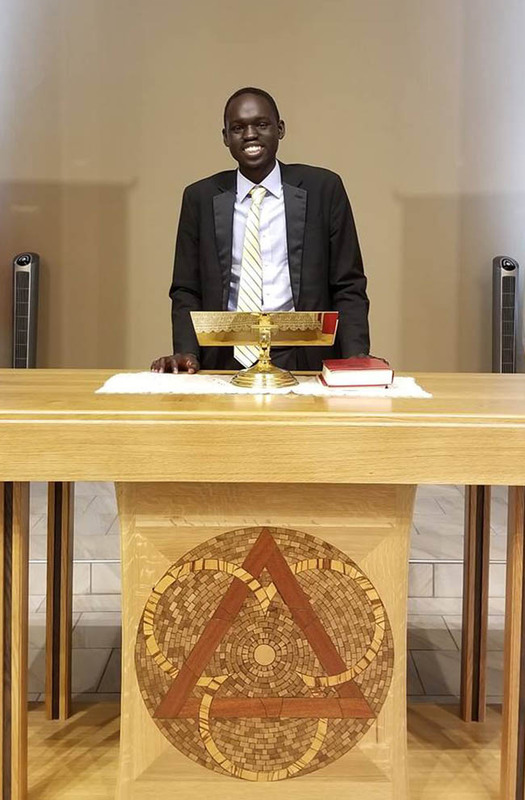 “And there’s a great need for darker-skinned people in the ministry, so I decided to come to MLC.” Buok was born in the USA, but his family emigrated here from South Sudan in 1997, eventually finding a home and a church in Omaha, Nebraska. After some training, Pastor Peter Bur was ordained as a WELS pastor. Now he serves at the church that first welcomed them. has seen how God has blessed his father’s ministry at Good Shepherd, and that led him to pursue pastoral training too. “I was born here, but my parents were born in Laos,” says Sam Lor ’18. “My father is Hmong, and my mother is Mien. After the Vietnam War, they fled Laos and grew up in a refugee camp in Thailand until they received passage to the United States. My father is now a pastor serving in Kansas City, and three of my uncles are also WELS pastors.” Sam didn’t attend MLC immediately. 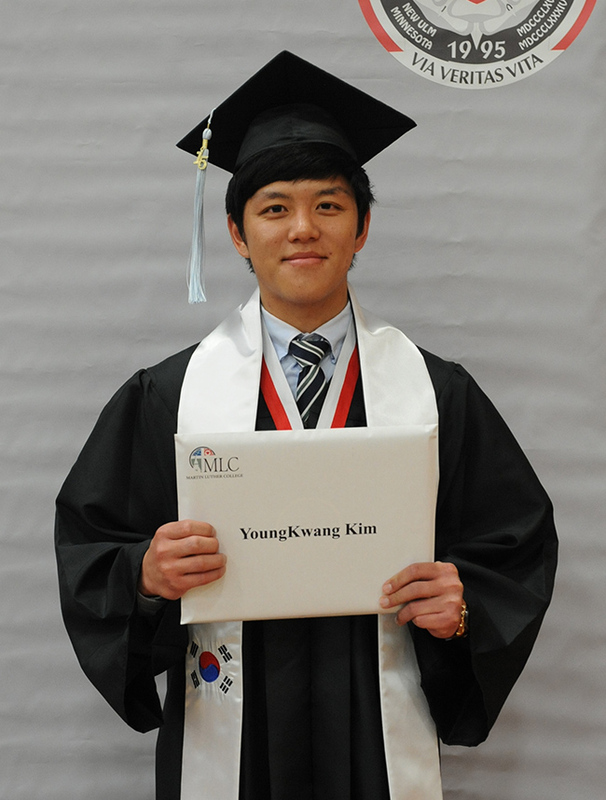 He began college at the University of Kansas, hoping to study medicine. After a semester, he realized that science was neither his strength nor his passion. 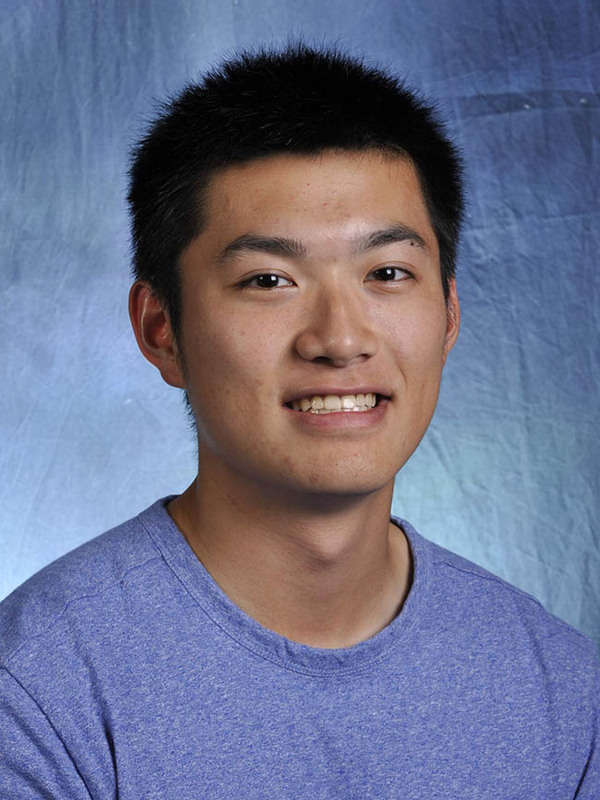 Jiacheng (Nicholas) Liu (St. Martin-Watertown SD) is a native of Shanghai. He graduated from Great Plains LHS in 2015. How did he know about GPLHS back in China? “This is one of the most common questions I have been asked. I knew nothing about that school. I came here as a foreign exchange student, which meant that I could not pick where I went. I was a little scared because I knew it was a Lutheran school, and I knew nothing about God. “At GPL, I had my first religion class and got my first Bible. God showed me my sin and my Savior, Jesus Christ. The Holy Spirit started my faith. I was baptized on March 10, 2014, and confirmed on May 25, 2014.
International Graduates- Where Are They Now? I was born and raised in Bogota, Colombia, and my family belonged to the Lutheran church there. I chose MLC after a group of MLC Spanish students visited Colombia in 2007 to get to know our church and school. I met some MLC professors as well, and they told me about the option to attend. I decided to take a leap of faith and do it. I graduated in the spring of 2012. I’m currently teaching at Reformation Lutheran School in San Diego. I love it here! The city is beautiful, and by the grace of God, our school is growing a lot. I even went back to school to get my master’s degree. MLC gave me the knowledge and the confidence I needed to do my job well. It also fueled my relationship with Jesus. I love to be able to bring Jesus into the lives of people from all over the world. I believe God is using not only my education but also my background as an international student to reach more people for his kingdom. I was born and raised in Suwon, South Korea, until I was 14. I was a Presbyterian until I met Pastor Young Ha Kim. After I met Pastor Kim, I became a Lutheran (ELS) and came to Great Plains LHS. I had never heard of MLC until my junior year at GPLHS. I was always interested in becoming a teacher. However, I never expected to become a teacher at a Lutheran school in the United States. When I heard about MLC, I thought it would be a great school for me. I could be trained under God’s words with my friends in Christ. I am currently teaching at Huron Valley LHS in Westland, Michigan. I teach math, from Algebra 1 to Calculus, and I coach the junior varsity basketball team. I also coached baseball and soccer the last two years. When I was in South Korea, I never expected to be teaching at HVL. I was a young boy who did not know anything. However, God has guided me with his words and people. God held my hands and trained me as a teacher—a teacher who teaches math but also God’s words. God had planned everything. 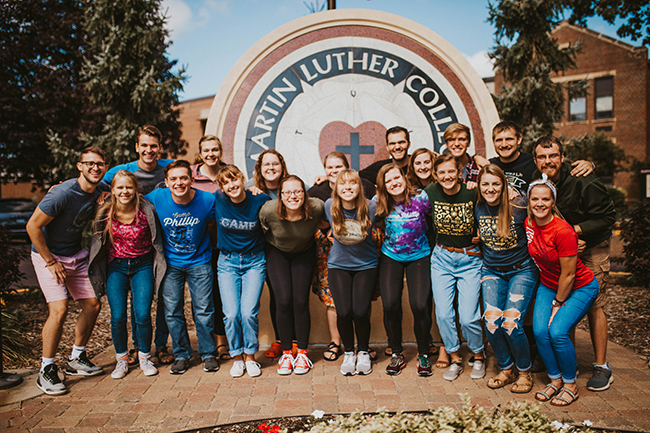 Martin Luther College’s International Services Office and various professors help students coordinate long- and short-term study abroad trips that can change their lives and their future ministries. In the 2017-2018 school year, 73 students studied abroad, almost double the number of just two years earlier. Here are a few of their stories. 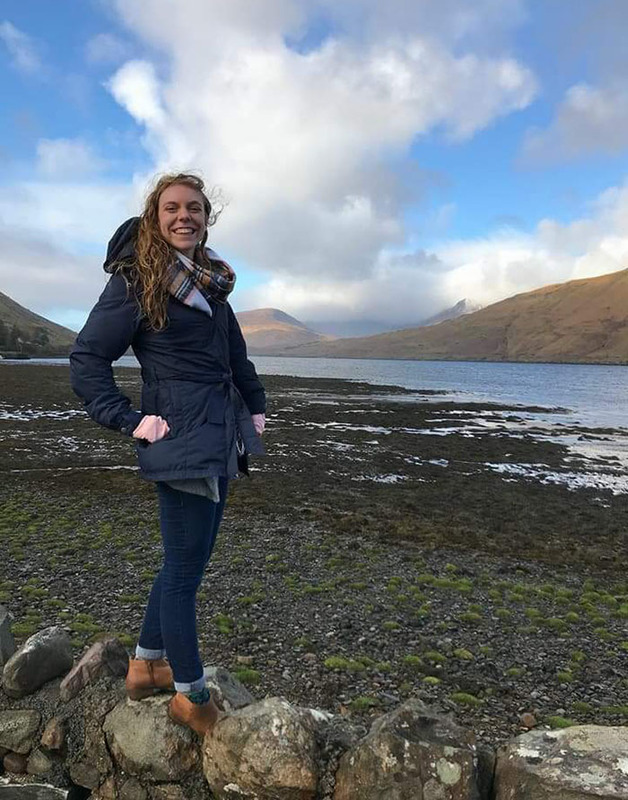 Abby Enstad ’21 (St. Paul-New Ulm MN, pictured) studied in Galway, Ireland, the spring semester of 2018. She remembers the bike ride along the coast of Galway Bay, the live street music, and the beef and stout pie. Find Abby’s blog, and several others as well, at blogs.mlc-wels.edu. 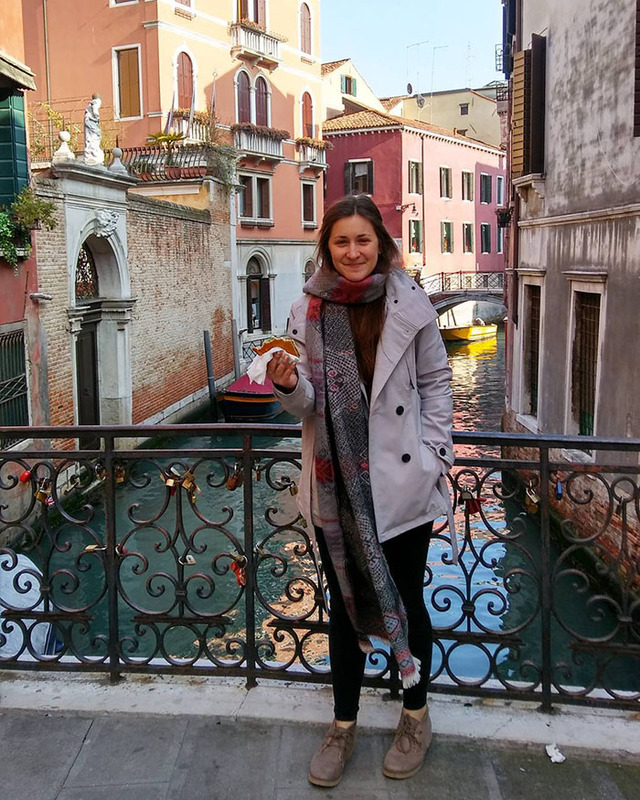 Eleven students stood in awe at the foot of the Colosseum, peered into the canals of Venice, and tried world-famous pizza and gelato. An MLC-organized trip brought the Knights to Florence, Venice, and Rome while earning them a college credit. 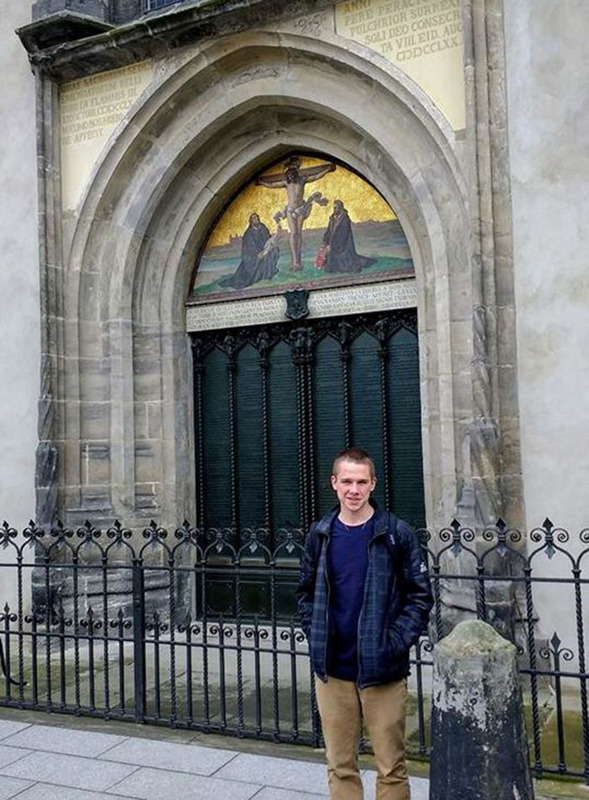 Now a first-year student at Wisconsin Lutheran Seminary, Collin says his European experience went far beyond historical and cultural education. Many MLC students join students from Bethany Lutheran College and Wisconsin Lutheran College on a Christmas flight to balmy Jamaica for a marine ecology course. 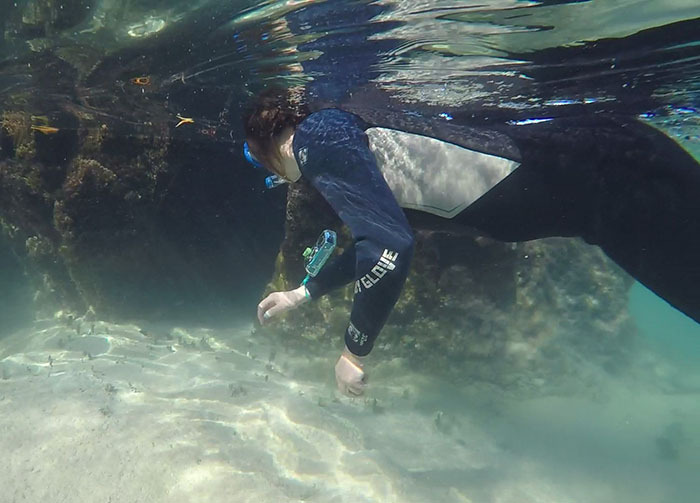 This every-other-year trip takes them to a lab in Discovery Bay, where they snorkel through coral reefs to study the octopus, barracuda, jellyfish, eel, and stingray. “It was incredible seeing so many different creatures living in the same ecosystem,” says Madison Ott (Faith-Sussex WI, pictured). Several students have completed Mandarin immersion studies in China in recent years, and a large number have signed a Spanish-only pledge and flown to South American countries like Argentina and Ecuador for five weeks of language classes and culture exploration. When they return, their Spanish skills are drastically improved, and they have a deeper appreciation for other cultures. 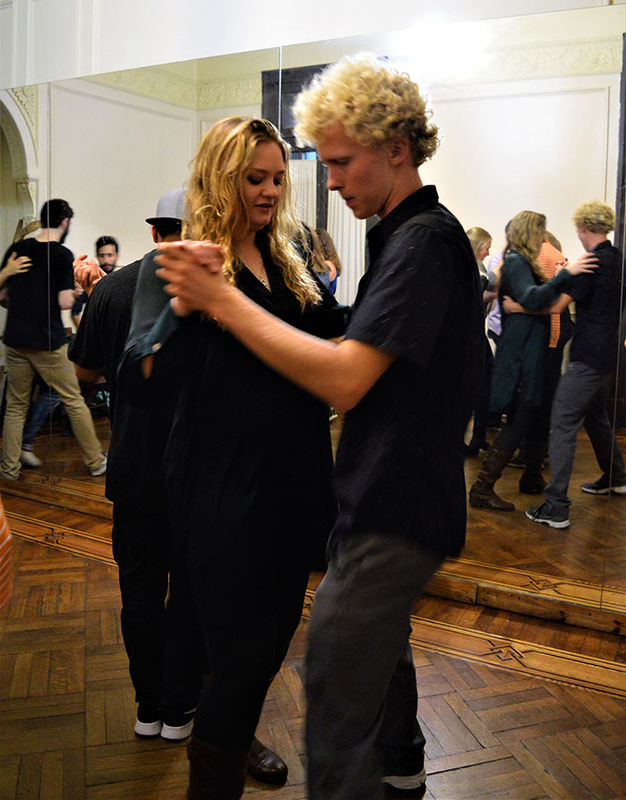 Nicole Wood ’18 and Josh Brands (Christ the King-Palm Coast FL) learned how to tango in Buenos Aires (pictured). “Being immersed added a whole new level to learning Spanish that I will never forget,” said Josh. Last summer Barb Olsen (Senora Olsen to her Spanish students at Kettle Moraine LHS) studied in Buenos Aires with MLC immersion students. 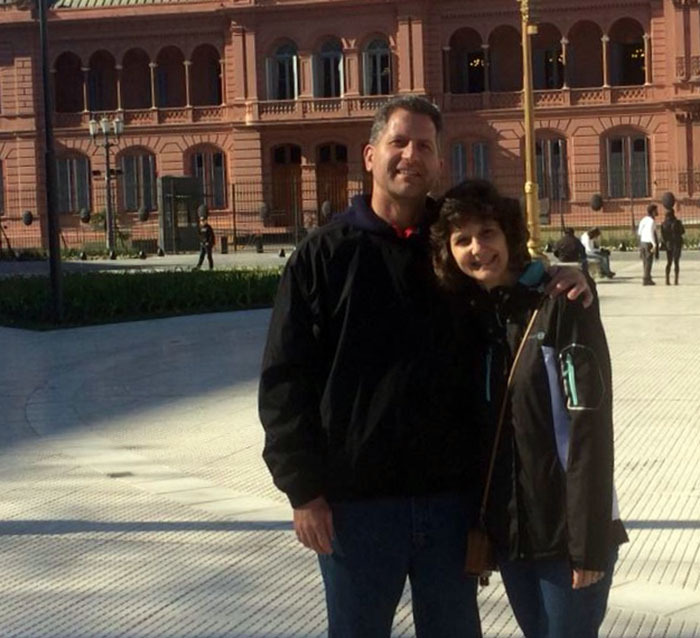 Barb’s husband, Tim, came a couple weeks later to make this a 25th anniversary vacation (Barb and Tim pictured in the Plaza de Mayo). Barb studied with the students and their instructor, Julian, in the mornings and then took city excursions in the afternoons. She stayed at an apartment with a gracious Argentinian couple, and—when Tim arrived—at a vintage hotel in the city. 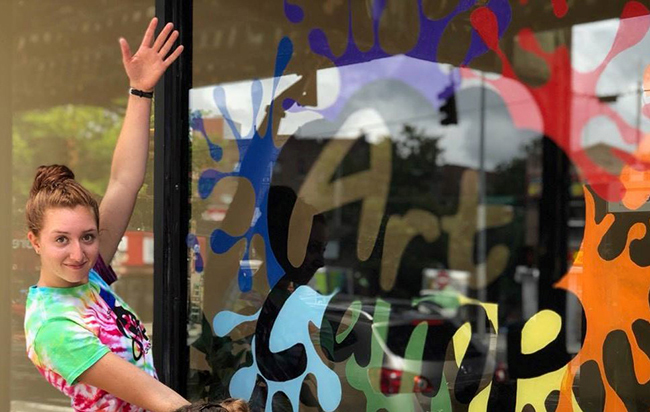 Emily (Hughes) Seeber ’14 had taken an immersion trip after her sophomore year at MLC, but last summer she decided to go again—this time with her husband, Justin, and their one-year-old daughter, Isabelle (pictured). 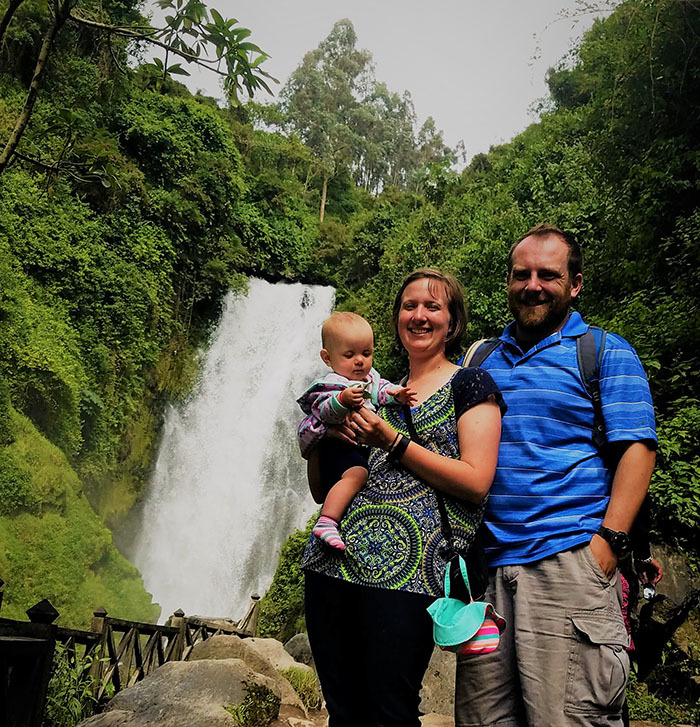 Emily says Ecuador didn’t have car seats and aisles of baby food like the US, but “what it did have was friendly, kind people.” Izzy came to love their host family and the teachers at Vida Verde—and enjoyed all the sights and sounds of Ecuador. 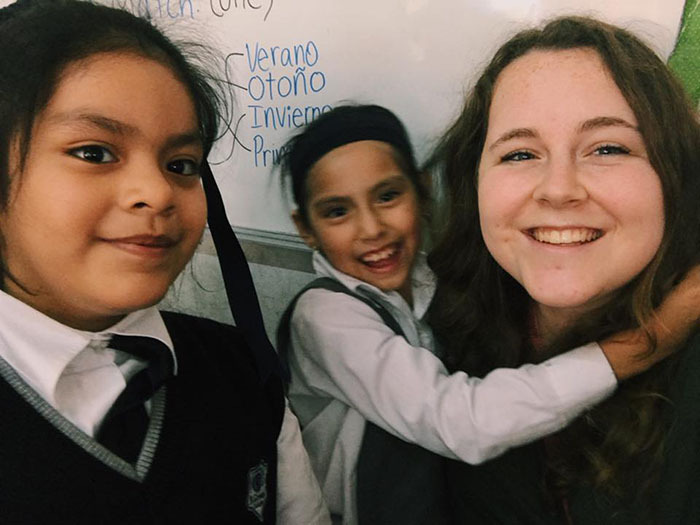 After three weeks, it was back to Milwaukee where Emily teaches upper grade English at Salem LS, but she says, “Ecuador will always have a special place in our hearts,” and they speak Spanish at home with Izzy every day. Whether you’re a Spanish teacher or just an interested learner, you can participate in the Spanish immersion trips. Contact Professor Paul Bases at basespa@mlc-wels.edu. 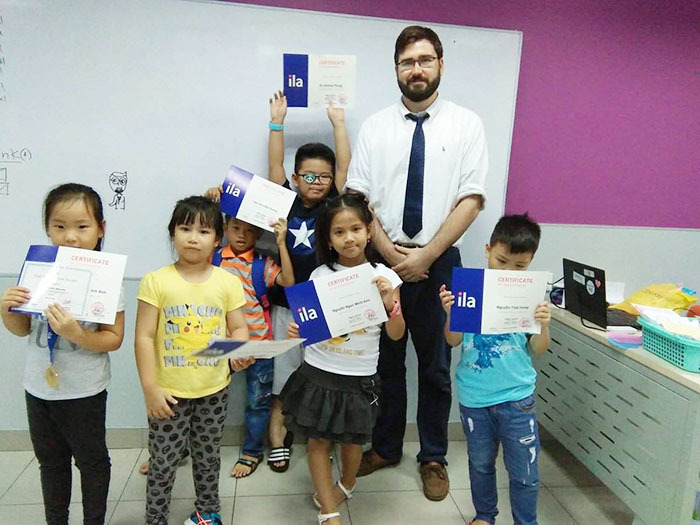 James Schlieper ’16 taught English to three levels of children (age 4, 8, and 12) at an ILA English Center in Ho Chi Minh City for 15 months in 2017 and 2018. His teaching overseas was coordinated by Friends of Vietnam, a nonprofit started by members at Peace in Jesus in Boise, Idaho (friendsofvietnam.net). Although teaching English provides a valuable service, James says his main goal was to share the gospel and assist Vietnamese students who wanted to attend a WELS high school. It was exciting work. This year, sophomore Alex Dimke (Good Shepherd-Cedar Rapids IA) is teaching in Peru. Jenny Proeber ’07 says God has led her on this Spanish journey from day one. The Mexican family who worked on her family’s farm introduced her to the language. Teachers and textbooks imparted the skills, and several study abroad experiences sharpened them. 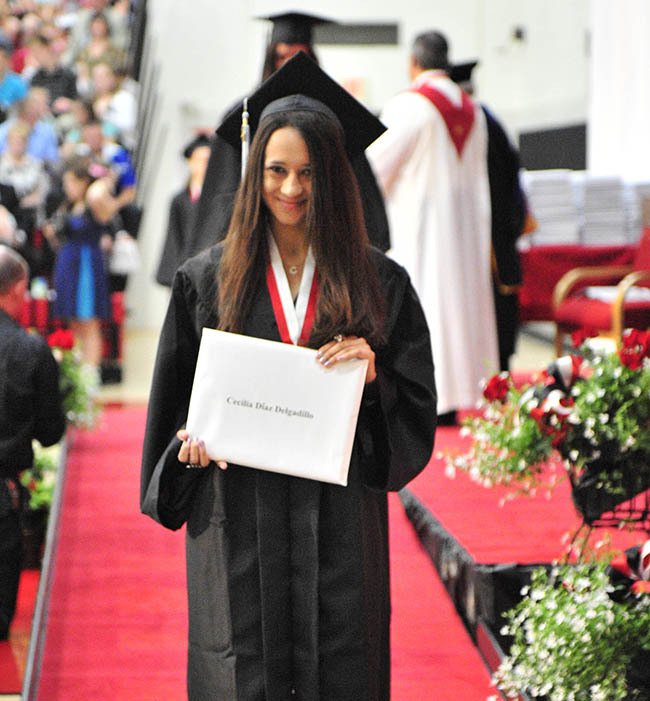 She taught English to Spanish speakers in the Dominican Republic for a year before she graduated from MLC, and then she taught Spanish to English speakers at Great Plains LHS for eight years after she graduated. 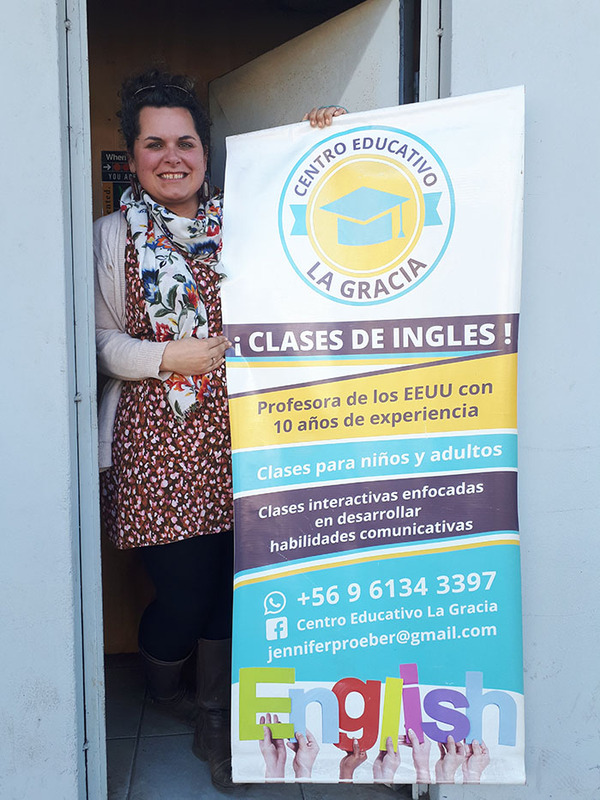 In 2015, she moved to Chile to teach English, and in 2017, she founded her own language school, Grace Educational Center, in Linares. She has about 30 students of all ages. 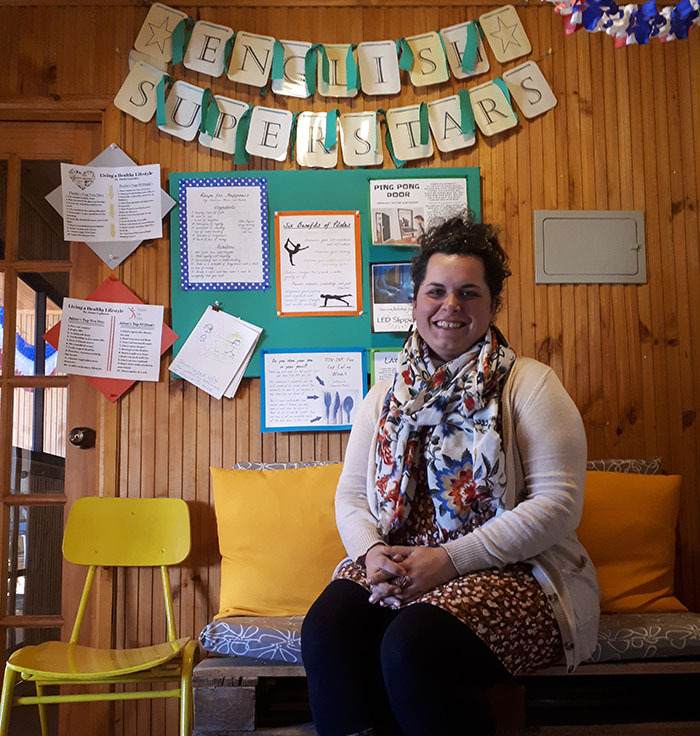 People come to the center to learn a language that will make them more employable in Linares, an area with one of the highest unemployment rates in the nation. But what they learn goes far beyond language. 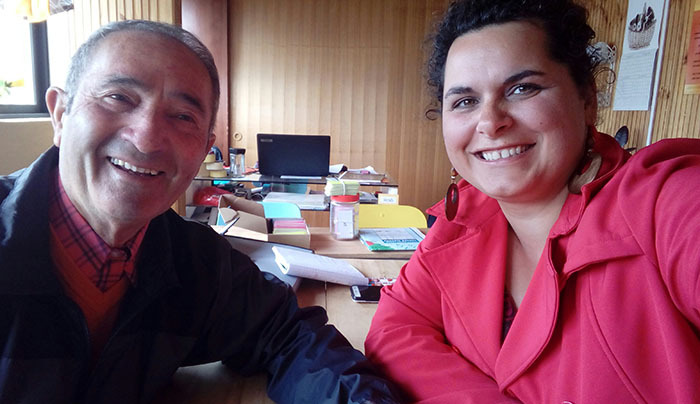 She also started an “English Corner,” free intermediate and advanced conversation classes at a local café on Wednesdays. King ’18 (see below) help teach the English classes and read the Bible with new friends. “Recently both Caleb and I were able to witness to a student as he struggles with a dear family member’s last days of life. His grandma is a believer, while he struggles with organized religion. What a blessing to be able to reassure him that if she believes in Jesus as her Savior, then she is going to be dancing in heaven eternally—and without her oxygen machine! Caleb King ’18 (St. John-Lomira WI) admits he started taking Spanish at Winnebago Lutheran Academy simply because his favorite soccer team was Real Madrid. As a preseminary student at MLC, he continued with Spanish to fulfill his nonbiblical language requirement. 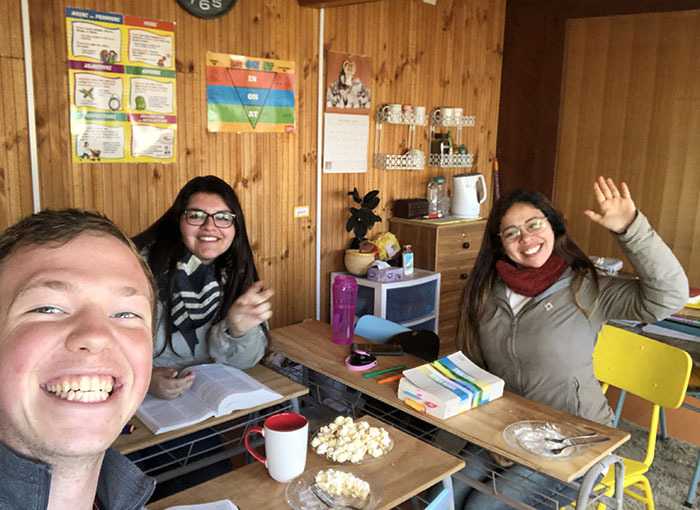 Today he’s a few months into La Aventura Sudamericana, his South American Adventure: a year in Linares, Chile, where he teaches English with Jenny Proeber at Grace Educational Center (pictured below left), assists with worship at La Iglesia Luterana, and reads the Bible with new friends and fellow Christians. Next fall Caleb will matriculate at Wisconsin Lutheran Seminary for his final four years of training before becoming a WELS pastor. What a journey! From Lomira, Wisconsin, to Linares, Chile— and maybe someday to your congregation. Read Caleb’s blog at laaventurasudamericana.wordpress.com. Five groups totaling more than 250 attendees came to campus to celebrate, reminisce, and reunite in the past few months. Are you part of a class celebrating a milestone year in 2019? Looking to bring your team, cast, or friend group together on campus? We’d love to have you here on the hill. Contact the Alumni Office for assistance in facilitating your event. 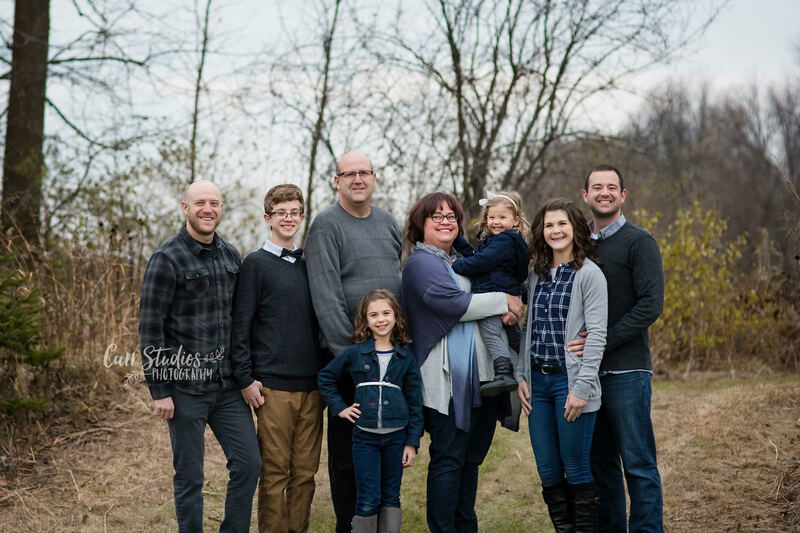 It was easy for Ginger Oestreich (Morning Star-Jackson WI) to list a dozen reasons why she and her husband, Mark, have hosted MLC student teachers. “Being able to see what the Lord was doing with these kids and knowing some lucky classroom was going to receive one of them is probably the best reason,” she says. 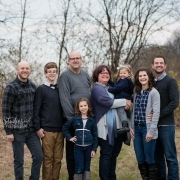 Over the last five years, Mark and Ginger (pictured, center, with their family) have hosted nine student teachers, eight women and one man. The college students stay in the bedrooms her older boys used to sleep in, and since she makes suppers every night anyway, the student teachers make an easy addition to the family. Professor Paul Tess DMLC ’77, MLC director of clinical experiences, is deeply grateful to families like the Oestreichs who host student teachers. “Giving student teachers a comfortable place to stay helps them put forth the best effort in the classroom,” he says. About 100 MLC student teachers need housing every year, primarily near Wisconsin cities with an abundance of WELS schools—like Milwaukee, La Crosse, Watertown, and Appleton—but also near area Lutheran high schools in outlying districts. The teaching semester is 10 weeks, and MLC offers up to $790 in reimbursement for room and board, although many families donate some or all of that money back to the college. The only requirements are a private bedroom for sleeping and studying, bathroom access, internet access, a parking spot for their car, and simple meals. Some families are fairly involved in their student teachers’ lives, and some are more hands-off, just offering a relaxing place to eat, study, and rest. Would you like to learn more about hosting a student teacher in your home? Contact your school principal or Professor Paul Tess at tesspa@mlc-wels.edu. Best Online College in the Nation! Other colleges notching in the top 25 are Hamline University (MN), Augustana University (SD), and Valparaiso University (IN). 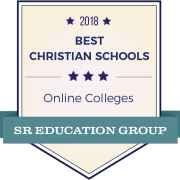 Check it out at mlc-wels.edu/go/best-onlinechristian- college. 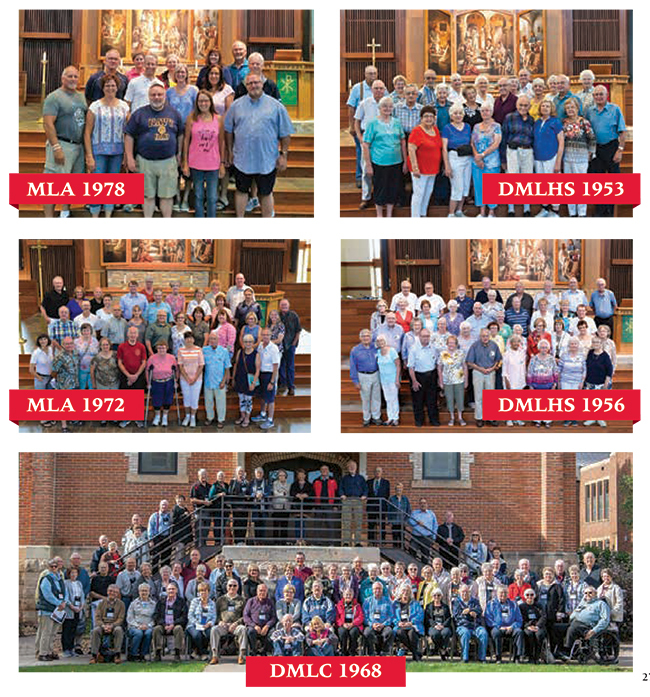 We are grateful to all WELS congregations and individual donors who support MLC. Your gifts allow us to keep our tuition low and the quality of our professors and programs high. 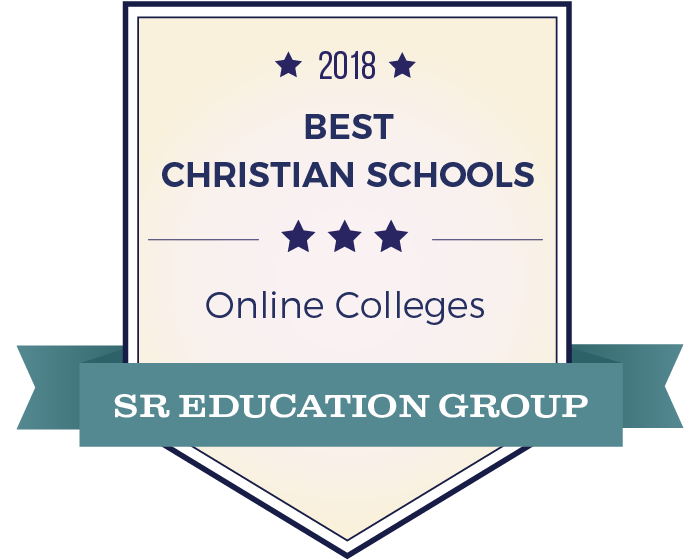 https://mlc-wels.edu/wp-content/uploads/2018/11/2018-Best-Online-Christian-College-in-the-nation.png 560 700 MLC News - https://mlc-wels.edu/wp-content/themes/mlc/images/mlc-logo.png MLC News -2018-11-29 15:52:162018-11-29 15:53:29Best Online College in the Nation! What’s your idea of a perfect summer? For 22 students at MLC, there’s no place they’d rather be than Camp Phillip—a summer camp in Wautoma, Wisconsin. These camp counselors don’t just jam out with kids around the campfire, lead adventures on the ropes course, and perform nightly skits, they also share the gospel with the children in their care—up to 1,200 campers throughout the summer! 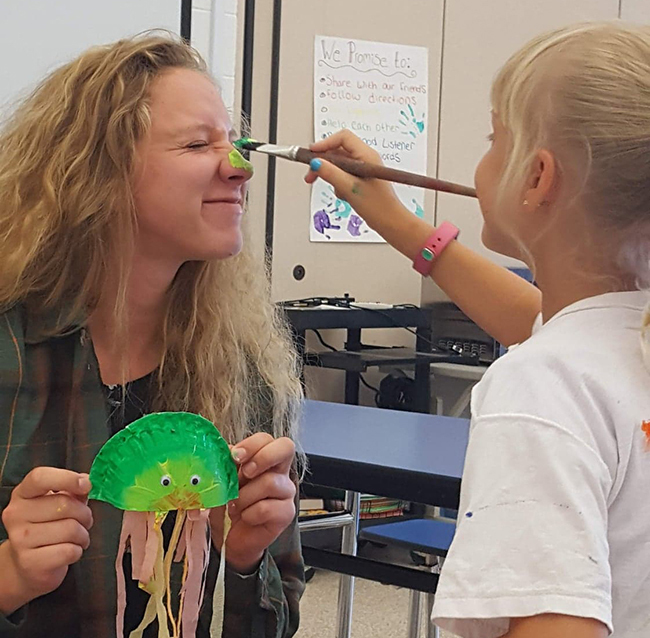 “It is such a huge blessing to work directly with kids and with people who are so inspiring and passionate about ministry,” says Kasandra Wagner (Good Shepherd-Sioux Falls SD). Camp Phillip loves the MLC students in its crew, and MLC loves the real-life ministry experience that these students get at camp. about color, creativity, and Christ. 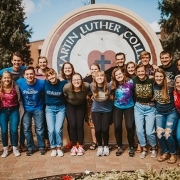 Mykenna and fellow MLC students Rachel Goddard (St. Paul-Saginaw MI) and Gabe Jacobsen (Shepherd of the Lakes-Fairmont MN) taught Bible stories and led art activities connected to the stories. 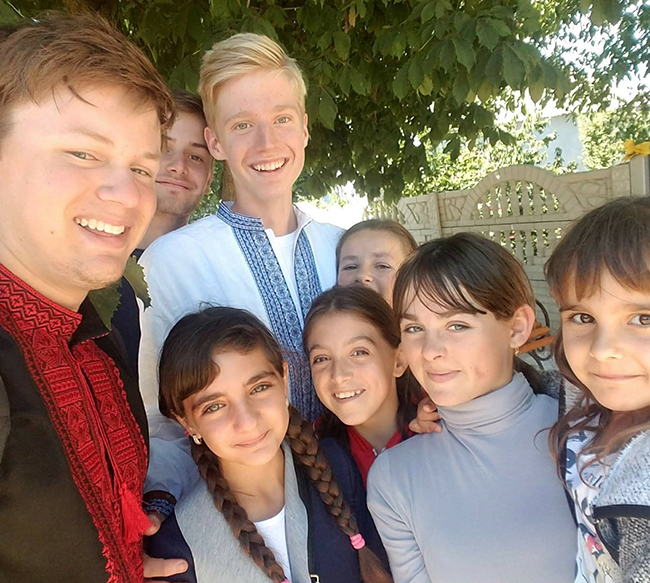 “This summer, I had the opportunity to spread Jesus’ love to people in Ukraine,” says preseminary student Caleb Christopher (Faith-Sharpsburg GA, pictured, front left, with his new Ukrainian friends). “This trip was the experience of a lifetime. It changed my outlook on outreach and the power of God’s Word.” For over a month, Caleb assisted two churches—aiding them in worship services and VBS programs. Moriah Poehlman (St. John-Maribel WI, pictured) and Donovan Waege (St. Paul-Tomah WI) got their hands dirty (and their faces too!) while teaching kiddos at St. John-Maribel’s summer camp. 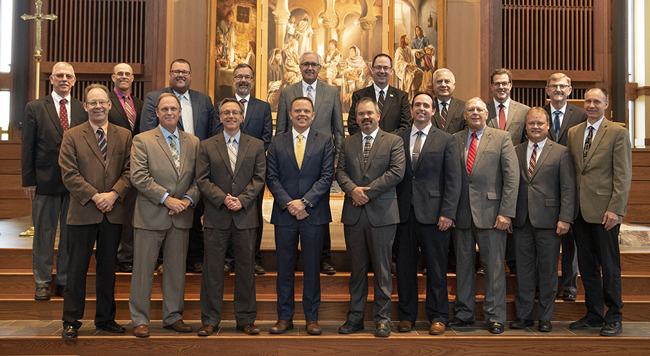 Back: Timothy Petermann, Steven Rosenbaum DMLC ’86 (secretary), Andrew Van Weele ’04, Michael Krueger, Michael Woldt WLS ’81 (chair), Paul Prange WLS ’88 (Ministerial Education administrator), Mark Zarling WLS ’80 (MLC president), Randy Matter, Joe Archer DMLC ’78. 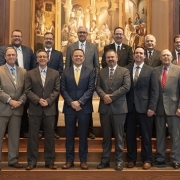 Front: Geoffrey Kieta WLS ’93, Mark Wessel WLS ’86, Daniel Leyrer WLS ’89, Michael Seifert WLS ’03 (vice chair), David Uhlhorn ’99, Michael Valleau, Dale Krause, Michael Lindemann WLS ’91, Dennis Klatt WLS ’88 (Minnesota District president). Calls: Approved the calling of one teacher candidate to serve as physical education professor and coach. Costs: Approved undergraduate tuition, room & board increases of 3% for 2019-20. Concurrently approved a 5% increase in institutional financial aid. Per-credit cost for continuing education and graduate students will remain unchanged. Athletic Facilities: Granted permission to MLC Administrative Council to continue a feasibility study of a partnership with New Ulm Department of Recreation for the building of a multipurpose permanent structure at the MLC Athletic Complex. Facility Preservation: Approved the setting aside of monies for asset preservation, specifically related to Centennial Hall and Old Main, in surplus of unrestricted funds. Also approved a request to the Synodical Council for a grant from the Financial Stabilization Fund for the remaining costs of MLC’s unfunded Centennial Hall projects in FY20. Asset Policy: Approved the revised Unrestricted Net Asset Policy dated September 28, 2018, which includes provisions for ownership of movable equipment and library books and increases the Economic Stabilization Fund minimum to 10% of the current operating budget.